Rockin' it Out: I hum, you hum, we all hum for Dim Sum!! Since many of the dishes are steamed, they're served in these little wooden containers. It looks cool when you've got your table looking like a warehouse. Dim sum is a feast of small servings of steamed or fried dumplings that usually goes down around breakfast or brunch time - unless you're a Westerner, in which case you stroll in for lunch or early dinner. All of the dim sum restaurants seem to be huge banquet halls with gaudy chandeliers and nice decorations, but the food and service feels much more family style. You sit at large tables with lazy susans in the middle while you fill out your Bingo-card-looking menu of how many of each item you want. The first thing to do is to start pouring the tea - there's usually at least two varieties at the table (all-you-can-drink) and that will be the only thing you can expect to drink at this meal. I usually bring a bottle of water just in case, but I'm starting to get used to the warm tea. 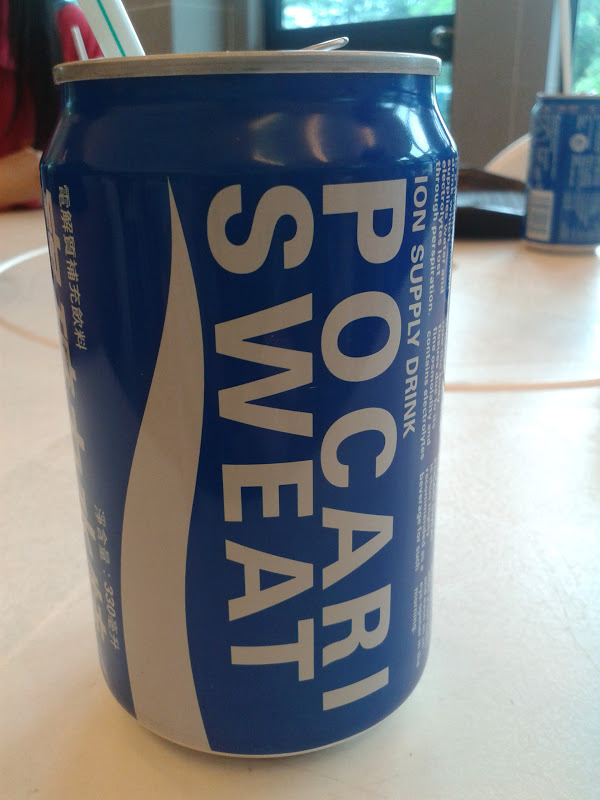 ....I'm sorry, but who really wants to drink something called "sweat"? Tea please! Marisa has had a great time figuring out how to use chopsticks. It's been working muscles she never thought she had. We've heard that some families train their kids to be able to pick up marbles with them - I think that earns you a first degree black belt in chopsticks. "cha siu bao" - Barbecue pork bun. This is definitely the MVP on my list. The bun is soft and a bit sticky and the filling is really nice. "yu peen jook" - Fish congee. This is in a different class of dim sum dishes. Congee is a rice-based version of porridge. They like to mix different items in though, such as: preserved duck egg, beef, fish, pig's blood, etc. The lazy susan helps to pass dishes around to everyone. The Chinese like to eat meat on bones. I've been told that this is because they want to eat "active" meat which was used a lot during the life of the animal. I suppose it doesn't get much more active than eating a part that steps in its own poo all day. Westerners don't get it because there's not much meat on these things, but the Chinese really love them. I had to give them a shot once. I suppose you could crunch through and eat the whole thing, but I was mostly eating skin and cartilage. Never knew there were so many damn tarsals and metatarsals! This was my first, and last chicken foot I'm afraid. not sure of the name, but it's just beef and carrots. this is a dessert with some sort of flower petals inside. interesting taste - kind of like rose jelly if you've had that. Each page gives you a lovely picture, the Cantonese writing (so that you can find it on the pictureless menus), the English pronunciation, and a description in English. What a great idea! If you haven't partaken in dim sum then I strongly encourage you to give it a shot. Enjoy!